Haywood Street community – meet Debra! 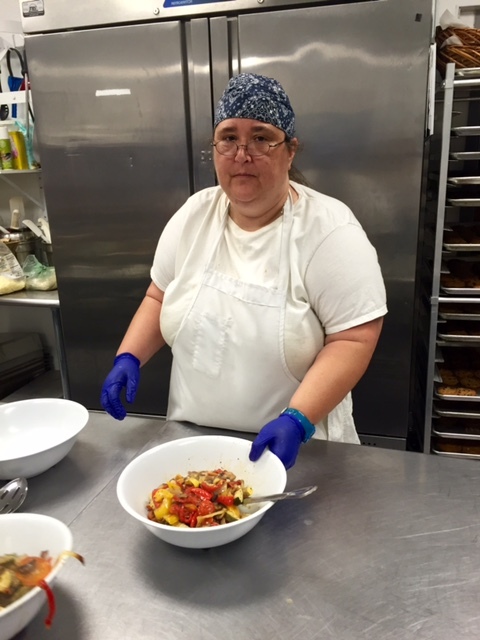 Deb is a new companion who has started helping in the kitchen for our Sunday Welcome Table ministry. How long have you been a part of this community? Why are you a companion? What has brought you here? Where do you help serve and how are you involved with Haywood Street? Is there a story about your experience you would like to share? What is one of your favorite things to do when you’re not here? What would you tell other people who don’t know about Haywood Street?